"Arab" and "Arabian" redirect here. For other uses, see Arab (disambiguation). a Arab ethnicity should not be confused with non-Arabic-speaking ethnicities that are also native to the Arab world. Arabs (Arabic: عَرَب‎‎ [ˈʕarab] ) are an ethnic group[disputed – discuss] inhabiting the Arab world. They primarily live in the Arab states in Western Asia, North Africa, the Horn of Africa, and western Indian Ocean islands. The Arabs are first mentioned in the mid-ninth century BCE as a tribal people dwelling in the central Arabian Peninsula. The Arabs appear to have been under the vassalage of the Neo-Assyrian Empire (911–612 BC), and the succeeding Neo-Babylonian (626–539 BC), Achaemenid (539–332 BC), Seleucid and Parthian empires. Arab tribes, most notably the Ghassanids and Lakhmids, begin to appear in the southern Syrian Desert from the mid 3rd century CE onward, during the mid to later stages of the Roman and Sasanian empires. Tradition holds that Arabs descend from Ishmael, the son of Abraham. The Arabian Desert is the birthplace of "Arab". There are other Arab groups as well that spread in the land and existed for millennia. Before the expansion of the Caliphate, "Arab" referred to any of the largely nomadic Semitic people from the northern to the central Arabian Peninsula and Syrian Desert. Presently, "Arab" refers to a large number of people whose native regions form the Arab world due to spread of Arabs throughout the region during the early Arab conquests of the 7th and 8th centuries. The Arabs forged the Rashidun (632–661), Umayyad (661–750) and the Abbasid (750–1258) caliphates, whose borders reached southern France in the west, China in the east, Anatolia in the north, and the Sudan in the south. This was one of the largest land empires in history. The Great Arab Revolt has had as big an impact on the modern Middle East as the World War I, which lasted from (1914–1918). The war signaled the end of the Ottoman Empire. They are modern states and became significant as distinct political entities after the fall and defeat and dissolution of the Ottoman Empire (1908–1922). Following adoption of the Alexandria Protocol in 1944, the Arab League was founded on 22 March 1945. The Charter of the Arab League endorsed the principle of an Arab homeland whilst respecting the individual sovereignty of its member states. Today, Arabs primarily inhabit the 22 Arab states within the Arab League: Algeria, Bahrain, Comoros, Djibouti, Egypt, Iraq, Jordan, Kuwait, Lebanon, Libya, Mauritania, Morocco, Oman, Palestine, Qatar, Saudi Arabia, Somalia, Sudan, Syria, Tunisia, United Arab Emirates, and Yemen. The Arab world stretches around 13 million km², from the Atlantic Ocean in the west to the Arabian Sea in the east, and from the Mediterranean Sea in the north to the Horn of Africa and the Indian Ocean in the southeast. Beyond the boundaries of the League of Arab States, Arabs can also be found in the global diaspora. The ties that bind Arabs are ethnic, linguistic, cultural, historical, identical, nationalist, geographical and political. The Arabs have their own customs, language, architecture, art, literature, music, dance, media, cuisine, dress, society, sports and mythology. The total number of Arabs are an estimated 450 million. This makes them the world's second largest ethnic group after the Han Chinese. Arabs are a diverse group in terms of religious affiliations and practices. In the pre-Islamic era, most Arabs followed polytheistic religions. Some tribes had adopted Christianity or Judaism, and a few individuals, the hanifs, apparently observed monotheism. Today, Arabs are mainly adherents of Islam, with sizable Christian minorities. Arab Muslims primarily belong to the Sunni, Shiite, Ibadi, Alawite, Druze and Ismaili denominations. Arab Christians generally follow one of the Eastern Christian Churches, such as the Maronite, Coptic Orthodox, Greek Orthodox, Greek Catholic, or Chaldean churches. The earliest documented use of the word "Arab" to refer to a people appears in the Kurkh Monoliths, an Akkadian language record of the ninth century BCE Assyrian conquest of Aram, which referred to Bedouins of the Arabian Peninsula under King Gindibu, who fought as part of a coalition opposed to Assyria. Listed among the booty captured by the army of king Shalmaneser III of Assyria in the Battle of Qarqar are 1000 camels of "Gi-in-di-bu'u the ar-ba-a-a" or "[the man] Gindibu belonging to the Arab (ar-ba-a-a being an adjectival nisba of the noun ʿarab). The related word ʾaʿrāb is still used to refer to Bedouins today, in contrast to ʿarab which refers to Arabs in general. The oldest surviving indication of an Arab national identity is an inscription made in an archaic form of Arabic in 328 using the Nabataean alphabet, which refers to Imru' al-Qays ibn 'Amr as "King of all the Arabs". Herodotus refers to the Arabs in the Sinai, southern Palestine, and the frankincense region, but inscriptions of Yemen start the use of the term "Arab" only in the second century BC. Arab tribes, most notably the Ghassanids and Lakhmids begin to appear in the south Syrian deserts and southern Jordan from the mid 3rd century CE onwards, during the mid to later stages of the Roman Empire and Sasanian Empire. The Nabataeans of Jordan appear to have been an Aramaic speaking ethnic mix of Canaanites, Arameans and Arabs. Thus, although a more limited diffusion of Arab culture and language was felt in some areas by these migrant minority Arabs in pre-Islamic times through Arab Christian kingdoms and Arab Jewish tribes, it was only after the rise of Islam in the mid-7th century that Arab culture, people and language began their wholesale spread from the central Arabian Peninsula (including the south Syrian desert) through conquest and trade. Approximate locations of certain tribes of Arabia, including those descended from Adnan, Hawazin and Quraysh at the dawn of Islam 600AD, Anizah inhabited the Syrian desert between modern day Iraq and Syria. Pre-Islamic Arabia refers to the Arabian Peninsula prior to the rise of Islam in the 630s. Some of the settled communities in the Arabian Peninsula developed into distinctive civilizations. Sources for these civilizations are not extensive, and are limited to archaeological evidence, accounts written outside of Arabia, and Arab oral traditions later recorded by Islamic scholars. Among the most prominent civilizations were Thamud, which arose around 3000 BCE and lasted to about 300 CE, and Dilmun, which arose around the end of the fourth millennium and lasted to about 600 CE. Additionally, from the beginning of the first millennium BCE, Southern Arabia was the home to a number of kingdoms, such as the Sabaean kingdom, and the coastal areas of Eastern Arabia were controlled by the Parthian and Sassanians from 300 BCE. Arabians are most prevalent in the Arabian Peninsula, but are also found in large numbers in Mesopotamia (Arab tribes in Iraq), the Levant and Sinai (Negev Bedouin, Tarabin bedouin), as well as the Maghreb (Libya, South Tunisia and South Algeria) and the Sudan region. Arabs in the narrow sense are the indigenous Arabians (who trace their roots back to the tribes of Arabia) and their immediate descendant groups in the Levant and North Africa. Within the people of the Arabian Peninsula, distinction is made between: Perishing Arabs (Arabic: العرب البائدة‎‎) are ancient tribes of whose history little is known. They include ‘Aad, Thamud, Tasm, Jadis, Imlaq and others. Jadis and Tasm perished because of genocide. 'Aad and Thamud perished because of their decadence, as recorded in the Qur'an. Archaeologists have recently uncovered inscriptions that contain references to 'Iram, which was a major city of the 'Aad. Imlaq is the singular form of 'Amaleeq and is probably synonymous to the biblical Amalek. Pure Arabs (العرب العاربة) or Qahtanites from Yemen, taken to be descended from Ya‘rub ibn Yashjub ibn Qahtan and further from either Ishmael or Hud. Arabized Arabs (العرب المستعربة) or Adnanites, taken to be the descendants of Ishmael son of Abraham. Arabian tribes before the spread of Islam. The Arab presence in Iran did not begin with the Arab conquest of Persia in 633 AD. For centuries, Iranian rulers had maintained contacts with Arabs outside their borders, dealt with Arab subjects and client states (such as those of Iraq and Yemen), and settled Arab tribesmen in various parts of the Iranian plateau. It follows that the "Arab" conquests and settlements were by no means the exclusive work of Arabs from the Hejaz and the tribesmen of inner Arabia. The Arab infiltration into Iran began before the Muslim conquests and continued as a result of the joint exertions of the civilized Arabs (ahl al-madar) as well as the desert Arabs (ahl al-wabar). The largest group of Iranian Arabs are the Ahwazi Arabs, including Banu Ka'b, Bani Turuf and the Musha'sha'iyyah sect. Smaller groups are the Khamseh nomads in Fars Province and the Arabs in Khorasan. Post-card of Emir Mejhem ibn Meheid, chief of the Anaza tribe near Aleppo with his sons after being decorated with the Croix de Légion d'honneur on September 20, 1920. In Sudan, there are numerous Arabic-speaking tribes, including the Shaigya, Ja'alin and Shukria, who are ancestrally related to the Nubians. These groups are collectively known as Sudanese Arabs. In addition, there are other Afroasiatic-speaking populations, such as Copts and Beja. Commander of Annaba and Amir of Constantine, Banu Hilal. The Arabs of the Maghreb are descendants of Arabian tribes of Banu Hilal, the Banu Sulaym and the Maqil native of Middle East and of other tribes native to Saudi Arabia, Yemen and Iraq. Arabs and Arabic-speakers inhabit plains and cities. The Banu Hilal spent almost a century in Egypt before moving to Libya, Tunisia and Algeria, and another century later some moves to Morocco, it is logical to think that they are mixed with inhabitants of Egypt and with Libya. Population density of the Arab world in 2008. Syrian immigrants in New York City, as depicted in 1895. Arab diaspora refers to descendants of the Arab immigrants who, voluntarily or as refugees, emigrated from their native lands in non-Arab countries, primarily in East Africa, South America, Europe, North America, and parts of South Asia, Southeast Asia, the Caribbean, and West Africa. According to the International Organization for Migration, there are 13 million first-generation Arab migrants in the world, of which 5.8 million reside in Arab countries. Arab expatriates contribute to the circulation of financial and human capital in the region and thus significantly promote regional development. In 2009, Arab countries received a total of 35.1 billion USD in remittance in-flows and remittances sent to Jordan, Egypt and Lebanon from other Arab countries are 40 to 190 per cent higher than trade revenues between these and other Arab countries. The 250,000 strong Lebanese community in West Africa is the largest non-African group in the region. Arab traders have long operated in Southeast Asia and along the East Africa's Swahili coast. Zanzibar was once ruled by Omani Arabs. Most of the prominent Indonesians, Malaysians, and Singaporeans of Arab descent are Hadhrami people with origins in southern Yemen in the Hadramawt coastal region. There are millions of Arabs living in Europe mostly concentrated in France (about 6,000,000 in 2005). Most Arabs in France are from the Maghreb but some also come from the Mashreq areas of the Arab world. Arabs in France form the second largest ethnic group after French people of French origin. Italy (about 1,309,200), Spain (about 800,000 to 1,600,000 – 1,800,000), there have been Arabs in Spain since the early 8th century when the Umayyad conquest of Hispania created the state of Al-Andalus. Germany (over 1,000,000), United Kingdom (366,769 to 500,000). Greece (250,000 to 750,000), In addition, Greece has people from Arab countries who have the status of refugees (e.g. refugees of the Syrian civil war) or illegal immigrants trying to immigrate to Western Europe. Sweden (210,400). Netherlands (180,000). Denmark (121,000). And in other European countries, such as Norway, Austria, Bulgaria, Switzerland, Republic of Macedonia, Romania and Serbia. As of late 2015, Turkey had a population of 78.7 million, with Syrian refugees accounting for 3.1% of that figure based on conservative estimates. Demographic trends indicate that the country already had as many as 1.5 million Arab-origin citizens before the war, so Turkey's Arab constituency now numbers anywhere from 4.5 to 5.1% of the population. In other words, nearly 4–5 million Arab inhabitants. Latin America has the largest Arab population outside of the Arab World. Latin America is home to anywhere from 17–25 to 30 million people of Arab descent, which is more than any other diaspora region in the world. The Brazilian and Lebanese governments claim there are 7 million Brazilians of Lebanese descent. Also, the Brazilian government claims there are 4 million Brazilians of Syrian descent. According to a research conducted by IBGE in 2008, covering only the states of Amazonas, Paraíba, São Paulo, Rio Grande do Sul, Mato Grosso and Distrito Federal, 0.9% of white Brazilian respondents said they had family origins in the Middle East. Other large Arab communities includes Argentina (about 4,500,000) The interethnic marriage in the Arab community, regardless of religious affiliation, is very high; most community members have only one parent who has Arab ethnicity. Venezuela (over 1,600,000),. Colombia (over 1,600,000 to 3,200,000), a genetic study found that on average the Colombians have 8.5% genes from Middle East. Mexico (over 1,100,000). Chile (over 800,000). and Central America, particularly El Salvador, and Honduras (between 150,000 and 200,000). is the fourth largest in the world after those in Israel, Lebanon, and Jordan. Arab Haitians (a large number of whom live in the capital) are more often than not, concentrated in financial areas where the majority of them establish businesses. Georgia and the Caucasus in 1060, during the final decline of the emirate. In 1728, a Russian officer described a group of Arab nomads who populated the Caspian shores of Mughan (in present-day Azerbaijan) and spoke a mixed Turkic-Arabic language. It is believed that these groups migrated to the Caucasus in the 16th century. The 1888 edition of Encyclopædia Britannica also mentioned a certain number of Arabs populating the Baku Governorate of the Russian Empire. They retained an Arabic dialect at least into the mid-19th century, there are nearly 30 settlements still holding the name Arab (for example, Arabgadim, Arabojaghy, Arab-Yengija, etc.). From the time of the Arab conquest of the Caucasus, continuous small-scale Arab migration from various parts of the Arab world occurred in Dagestan. The majority of these lived in the village of Darvag, to the north-west of Derbent. The latest of these accounts dates to the 1930s. Most Arab communities in southern Dagestan underwent linguistic Turkicisation, thus nowadays Darvag is a majority-Azeri village. According to the History of Ibn Khaldun, the Arabs that were once in Central Asia have been either killed or have fled the Tatar invasion of the region, leaving only the locals. However, today many people in Central Asia identify as Arabs. Most Arabs of Central Asia are fully integrated into local populations, and sometimes call themselves the same as locals (for example, Tajiks, Uzbeks) but they use special titles to show their Arabic origin such as Sayyid, Khoja or Siddiqui. There are only two communities in India which self-identify as Arabs, the Chaush of the Deccan region and the Chavuse of Gujarat. These groups are largely descended from Hadhrami migrants who settled in these two regions in the 18th century. However, neither community still speaks Arabic, although the Chaush have seen re-immigration to the Arab States of the Persian Gulf and thus a re-adoption of Arabic. In South Asia, where Arab ancestry is considered prestigious, many communities have origin myths that claim Arab ancestry. These include the Mappilla of Kerala and the Labbai of Tamil Nadu. Among North Indian and Pakistani Arabs there are groups who claim the status of Sayyid and have origin myths that allege descent from the Prophet Mohammad. The South Asian Iraqi biradri may be considered Arabs because records of their ancestors who migrated from Iraq exist in historical documents. There are about 5,000,000 Native Indonesians with Arab ancestry. Arab Indonesians are mainly of Hadrami descent. The Sri Lankan Moors are the third largest ethnic group in Sri Lanka, comprising 9.23% of the country's total population. Some sources trace the ancestry of the Sri Lankan Moors to Arab traders who settled in Sri Lanka at some time between the 8th and 15th centuries. Pre-Islamic Arabia refers to Arabic civilization in the Arabian Peninsula before the rise of Islam in the 630s. The study of Pre-Islamic Arabia is important to Islamic studies as it provides the context for the development of Islam. Old Arabic diverges from Central Semitic by the beginning of the 1st millennium BC. The first written attestation of the ethnonym "Arab" occurs in an Assyrian inscription of 853 BCE, where Shalmaneser III lists a King Gindibu of mâtu arbâi (Arab land) as among the people he defeated at the Battle of Karkar. Some of the names given in these texts are Aramaic, while others are the first attestations of Ancient North Arabian dialects. In fact several different ethnonyms are found in Assyrian texts that are conventionally translated "Arab": Arabi, Arubu, Aribi and Urbi. Many of the Qedarite queens were also described as queens of the aribi. The Hebrew Bible occasionally refers to Aravi peoples (or variants thereof), translated as "Arab" or "Arabian." The scope of the term at that early stage is unclear, but it seems to have referred to various desert-dwelling Semitic tribes in the Syrian Desert and Arabia. Arab tribes came into conflict with the Assyrians during the reign of the Assyrian king Ashurbanipal, and he records military victories against the powerful Qedar tribe among others. Assyrian and Babylonian Royal Inscriptions and North Arabian inscriptions from 9th to 6th century B.C, mention the king of Qedar as king of the Arabs and King of the Ishmaelites. Of the names of the sons of Ishmael the names "Nabat, Kedar, Abdeel, Dumah, Massa, and Teman" were mentioned in the Assyrian Royal Inscriptions as tribes of the Ishmaelites. Jesur was mentioned in Greek inscriptions in the First Century B.C. Facade of Al Khazneh in Petra, Jordan, built by the Nabateans. Proto-Arabic, or Ancient North Arabian, texts give a clearer picture of the Arabs' emergence. The earliest are written in variants of epigraphic south Arabian musnad script, including the 8th century BCE Hasaean inscriptions of eastern Saudi Arabia, the 6th century BCE Lihyanite texts of southeastern Saudi Arabia and the Thamudic texts found throughout Arabia and the Sinai (not in reality connected with Thamud). The Nabataeans were nomadic newcomers who moved into territory vacated by the Edomites – Semites who settled the region centuries before them. Their early inscriptions were in Aramaic, but gradually switched to Arabic, and since they had writing, it was they who made the first inscriptions in Arabic. The Nabataean alphabet was adopted by Arabs to the south, and evolved into modern Arabic script around the 4th century. This is attested by Safaitic inscriptions (beginning in the 1st century BCE) and the many Arabic personal names in Nabataean inscriptions. From about the 2nd century BCE, a few inscriptions from Qaryat al-Faw (near Sulayyil) reveal a dialect no longer considered proto-Arabic, but pre-classical Arabic. Five Syriac inscriptions mentioning Arabs have been found at Sumatar Harabesi, one of which dates to the 2nd century CE. The Ghassanids, Lakhmids and Kindites were the last major migration of pre-Islamic Arabs out of Yemen to the north. The Ghassanids increased the Semitic presence in the then Hellenized Syria, the majority of Semites were Aramaic peoples. They mainly settled in the Hauran region and spread to modern Lebanon, Palestine and East Jordan. Greeks and Romans referred to all the nomadic population of the desert in the Near East as Arabi. The Romans called Yemen "Arabia Felix". The Romans called the vassal nomadic states within the Roman Empire Arabia Petraea after the city of Petra, and called unconquered deserts bordering the empire to the south and east Arabia Magna. The Lakhmids as a dynasty inherited their power from the Tanukhids, the mid Tigris region around their capital Al-Hira. They ended up allying with the Sassanids against the Ghassanids and the Byzantine Empire. The Lakhmids contested control of the Central Arabian tribes with the Kindites with the Lakhmids eventually destroying Kinda in 540 after the fall of their main ally Himyar. The Persian Sassanids dissolved the Lakhmid dynasty in 602, being under puppet kings, then under their direct control. The Kindites migrated from Yemen along with the Ghassanids and Lakhmids, but were turned back in Bahrain by the Abdul Qais Rabi'a tribe. They returned to Yemen and allied themselves with the Himyarites who installed them as a vassal kingdom that ruled Central Arbia from "Qaryah Dhat Kahl" (the present-day called Qaryat al-Faw) in Central Arabia. They ruled much of the Northern/Central Arabian peninsula, until they were destroyed by the Lakhmid king Al-Mundhir, and his son 'Amr. After the death of Muhammad in 632, Rashidun armies launched campaigns of conquest, establishing the Caliphate, or Islamic Empire, one of the largest empires in history. It was larger and lasted longer than the previous Arab empires of Queen Mawia or the Palmyrene Empire, which were predominantly Syriac rather than Arab. The Rashidun state was a completely new state and not a mere imitation of the earlier Arab kingdoms such as the Himyarite, Lakhmids or Ghassanids, although it benefited greatly from their art, administration and architecture. The Great Mosque of Kairouan in Kairouan, Tunisia was founded in 670 by the Arab general Uqba ibn Nafi; it is the oldest mosque in the Maghreb and represents an architectural testimony of the Arab conquest of North Africa. In 661, the Caliphate fell into the hands of the Umayyad dynasty and Damascus was established as the Muslim capital. They were proud of their Arab ancestry and sponsored the poetry and culture of pre-Islamic Arabia. They established garrison towns at Ramla, Raqqa, Basra, Kufa, Mosul and Samarra, all of which developed into major cities. Umayyads expanded their Empire westwards capturing North Africa from the Byzantines. Before the Arab conquest, North Africa was inhibited by various people including Punics, Vandals and Greeks. It was not until the 11th century that the Maghreb saw a large influx of ethnic Arabs. Starting with the 11th century, the Arab bedouin Banu Hilal tribes migrated to the West. Having been sent by the Fatimids to punish the Berber Zirids for abandoning Shias, they travelled westwards. The Banu Hilal quickly defeated the Zirids and deeply weakened the neighboring Hammadids. Their influx was a major factor in the Arabization of the Maghreb. Although Berbers ruled the region until the 16th century (under such powerful dynasties as the Almoravids, the Almohads, Hafsids, etc. ), the arrival of these tribes eventually helped Arabize much of it ethnically, in addition to the linguistic and political impact on local non-Arabs. With the collapse of the Umayyad state in 1031 AD, Islamic Spain was divided into small kingdoms. The Abbasids led a revolt against the Umayyads and defeated them in the Battle of the Zab effectively ending their rule in all part of the Empire except Al-Andalus. The Abbasids were descendants of Muhammad's uncle Abbas, but unlike the Umayyads they had the support of non-Arab subjects of the Umayyads. The Abbasids ruled for 200 years before they lost their central control when Wilayas began to fracture; afterwards, in the 1190s, there was a revival of their power, which was ended by the Mongols, who conquered Baghdad and killed the Caliph. Members of the Abbasid royal family escaped the massacre and resorted to Cairo, which had broken from the Abbasid rule two years earlier; the Mamluk generals taking the political side of the kingdom while Abbasid Caliphs were engaged in civil activities and continued patronizing science, arts and literature. The Islamic Golden Age was inaugurated by the middle of the 8th century by the ascension of the Abbasid Caliphate and the transfer of the capital from Damascus to the newly founded city Baghdad. The Abbassids were influenced by the Qur'anic injunctions and hadith such as "The ink of the scholar is more holy than the blood of martyrs" stressing the value of knowledge. During this period the Muslim world became an intellectual centre for science, philosophy, medicine and education as the Abbasids championed the cause of knowledge and established the "House of Wisdom" (Arabic: بيت الحكمة) in Baghdad. Rival Muslim dynasties such as the Fatimids of Egypt and the Umayyads of al-Andalus were also major intellectual centres with cities such as Cairo and Córdoba rivaling Baghdad. From 1516 to 1918, much of the Arab world was under the suzerainty of the Ottoman Empire. The Ottomans defeated the Mamluk Sultanate in Cairo, and ended the Abbasid Caliphate. Arabs did not feel the change of administration because the Ottomans modeled their rule after the previous Arab administration systems. After World War I when the Ottoman Empire was overthrown by the British Empire, former Ottoman colonies were divided up between the British and French as League of Nations mandates. Arab are mostly Muslims with Sunni majority and Shia minority, one exception being the Ibadis, who predominate in Oman. Arab Christians generally follow Eastern Churches such as the Greek Orthodox and Greek Catholic churches, though a minority of Protestant Church followers also exists; The Copts and the Maronites, follow the Coptic Church and Maronite Church accordingly. The Greek Catholic church and Maronite church are under the Pope of Rome, and a part of the larger worldwide Catholic Church. There are also Arab communities consisting of Druze and Baha'is. Today, Sunni Islam dominates in most areas, overwhelmingly so in North Africa and the Horn of Africa. Shia Islam is dominant among the Arab population in Bahrain and southern Iraq while northern Iraq is mostly Sunni. Substantial Shia populations exist in Lebanon, Yemen, Kuwait, Saudi Arabia, northern Syria and the al-Batinah region in Oman. There are small numbers of Ibadi and non-denominational Muslims too. The Druze community is concentrated in Lebanon, Syria, Israel and Jordan. Many Druze claim independence from other major religions in the area and consider their religion more of a philosophy. Their books of worship are called Kitab Al Hikma (Epistles of Wisdom). They believe in reincarnation and pray to five messengers from God. In Israel, the Druze have a status aparte from the general Arab population, treated as a separate ethno-religious community. In pre-Islamic Arabia, Christianity had a prominent presence among several Arab communities, including the Bahrani people of Eastern Arabia, the Christian community of Najran, in parts of Yemen, and among certain northern Arabian tribes such as the Ghassanids, Lakhmids, Taghlib, Banu Amela, Banu Judham, Tanukhids and Tayy. In the early Christian centuries, Arabia was sometimes known as Arabia heretica, due to its being "well known as a breeding-ground for heterodox interpretations of Christianity." Christians make up 5.5% of the population of Western Asia and North Africa. A sizeable share of those are Arab Christians proper, and affiliated Arabic-speaking populations of Copts and Maronites. In Lebanon, Christians number about 40.5% of the population. In Syria, Christians make up 10% of the population. In West Bank and in Gaza Strip, Christians make up 8% and 0.7% of the populations, respectively. In Egypt, Coptic Christians number about 10% of the population. In Iraq, Christians constitute 0.1% of the population. In Israel, Arab Christians constitute 2.1% (roughly 9% of the Arab population). Arab Christians make up 8% of the population of Jordan. Most North and South American Arabs are Christian, as are about half of Arabs in Australia who come particularly from Lebanon, Syria and Palestine. One well known member of this religious and ethnic community is Saint Abo, martyr and the patron saint of Tbilisi, Georgia. Arab Christians are living also in a holy Christian cities such as Nazareth, Bethlehem and the Christian Quarter of the Old City of Jerusalem and many other villages with holy Christian sites. Arabs share basic beliefs and values that cross national and social class boundaries. Social attitudes have remained constant because Arab society is more conservative and demands conformity from its members. It is important for Western observers to be able to identify and distinguish these cultural patterns from individual behaviors. Another important and unifying characteristic of Arabs is a common language. Arabic is a Semitic language of the Afro-Asiatic Family. Evidence of its first use appears in accounts of wars in 853 BC. It also became widely used in trade and commerce. Arabic also is a liturgical language of 1.7 billion Muslims. It is one of six official languages of the United Nations. It is revered as the language that God chose to reveal the Quran. Self portrait of renowned Lebanese poet/writer Khalil Gibran. There is a small remnant of pre-Islamic poetry, but Arabic literature predominantly emerges in the Middle Ages, during the Golden Age of Islam. Literary Arabic is derived from Classical Arabic, based on the language of the Quran as it was analyzed by Arabic grammarians beginning in the 8th century. A large portion of Arabic literature before the 20th century is in the form of poetry, and even prose from this period is either filled with snippets of poetry or is in the form of saj or rhymed prose. The ghazal or love poem had a long history being at times tender and chaste and at other times rather explicit. In the Sufi tradition the love poem would take on a wider, mystical and religious importance. Arabic epic literature was much less common than poetry, and presumably originates in oral tradition, written down from the 14th century or so. Maqama or rhymed prose is intermediate between poetry and prose, and also between fiction and non-fiction. Maqama was an incredibly popular form of Arabic literature, being one of the few forms which continued to be written during the decline of Arabic in the 17th and 18th centuries. Will find the following items most of the time; Cinnamon, Curry powder, Fish (in coastal areas), Garlic, Lamb (or veal), Mild to hot sauces, Mint, Onion, Rice, Saffron, Sesame, Yogurt, Spices due to heavy trading between the two regions. Tea, Thyme (or oregano), Turmeric, Variety of fruits (primarily citrus), Variety of vegetables such as cucumbers, eggplants, lettuce, tomato, green pepper, green beans, zucchini and parsley. Stone relief with arabesques of tendrils, palmettes and half-palmettes in the Umayyad Mosque, Damascus. Arabic miniatures are small paintings on paper, whether book illustrations or separate works of art. Arabic miniature art dates to the late 7th century. Arabs depended on such art not only to satisfy their artistic taste, but also for scientific explanations. Arabesque is a form of artistic decoration consisting of "surface decorations based on rhythmic linear patterns of scrolling and interlacing foliage, tendrils" or plain lines, often combined with other elements. Another definition is "Foliate ornament, typically using leaves, derived from stylised half-palmettes, which were combined with spiralling stems". It usually consists of a single design which can be 'tiled' or seamlessly repeated as many times as desired. Arabic Architecture has a deep diverse history, it dates to the dawn of the history in pre-Islamic Arabia. Each of it phases largely an extension of the earlier phase, it left also heavy impact on the architecture of other nations. Arab Architecture encompasses a wide range of both secular and religious styles from the foundation of Islam to the present day. What today is known as Islamic architecture was influenced by Roman, Byzantine and all other lands which the Arab conquereds in the 7th and 8th centuries. Further east, it was also influenced by Chinese and Indian architecture as Islam spread to Southeast Asia. The principal Islamic architectural types are: the Mosque, the Tomb, the Palace and the Fort. From these four types, the vocabulary of Islamic architecture is derived and used for other buildings such as public baths, fountains and domestic architecture. Bayad plays the oud to The Lady. from the Riyad & Bayad, Arabic tale. Arabic music, while independent and flourishing in the 2010s, has a long history of interaction with many other regional musical styles and genres. It is an amalgam of the music of the Arab people in the Arabian Peninsula and the music of all the peoples that make up the Arab world today Pre-Islamic Arab music was similar to that of Ancient Middle Eastern music. Most historians agree that there existed distinct forms of music in the Arabian peninsula in the pre-Islamic period between the 5th and 7th century AD. Arab poets of that "Jahili poets", meaning "the poets of the period of ignorance"—used to recite poems with a high notes. It was believed that Jinns revealed poems to poets and music to musicians. By the 11th century, Islamic Iberia had become a center for the manufacture of instruments. These goods spread gradually throughout France, influencing French troubadours, and eventually reaching the rest of Europe. The English words lute, rebec, and naker are derived from Arabic oud, rabab, and naqareh. Umm Kulthum was an internationally famous Egyptian singer who was given the honorific title "Planet of the East". Al-‘Uzzá was one of the three chief goddesses of Arabian religion. Arab polytheism, the dominant form of religion in pre-Islamic Arabia, was based on veneration of deities and other rituals. Gods and goddesses, including Hubal and the goddesses al-Lāt, Al-‘Uzzá and Manāt, were worshipped at local shrines, such as the Kaaba in Mecca. Different theories have been proposed regarding the role of Allah in Meccan religion. Many of the physical descriptions of the pre-Islamic gods are traced to idols, especially near the Kaaba, which is said to have contained up to 360 of them. Until about the fourth century, almost all Arabs practised polytheistic religions. Although significant Jewish and Christian minorities developed, polytheism remained the dominant belief system in pre-Islamic Arabia. Arabic philosophy refers to philosophical thought in the Arab world. schools of Arabic thought, including Avicennism and Averroism. The first great Arab thinker is widely regarded to be al-Kindi (801–873 A.D.), a Neo-Platonic philosopher, mathematician and scientist who lived in Kufa and Baghdad (modern day Iraq). After being appointed by the Abbasid Caliphs to translate Greek scientific and philosophical texts into Arabic, he wrote a number of original treatises of his own on a range of subjects, from metaphysics and ethics to mathematics and pharmacology. Arabic science underwent remarkable development during the 8th to 13th centuries C.E., a flowering of knowledge and intellect that later spread throughout Europe and greatly influenced both medical practice and education. The scientific glory of the Arabic nation originated on the Arabian Peninsula in the 7th century C.E., where the preaching of the prophet Mohammed united the Arab tribes and inaugurated the Muslim religion. The Arab Empire was formed in 622 C.E., when the Prophet moved from Mecca to Medina. Within a century after his death (632 C.E.) a large part of the planet, from southern Europe throughout North Africa to Central Asia and on to India, was controlled by and/or influenced by the new Arab Empire. In 711 C.E., Arab Muslims invaded southern Spain and a center of flourishing civilization (al-Andalus) was created. Another center emerged in Baghdad from the Abbasids, who ruled part of the Islamic world during a historic period later characterized as the "Golden Age" (∼750 to 1258 C.E.). This era can be identified as the years between 692 and 945, and ended when the caliphate was marginalised by local Muslim rulers in Baghdad – its traditional seat of power. From 945 onward until the sacking of Baghdad by the Mongols in 1258, the Caliph continued on as a figurehead, with power devolving more to local amirs. The pious scholars of Islam, men and women collectively known as the ulama, were the most influential element of society in the fields of Sharia law, speculative thought and theology. Arabic scientific achievement is not as yet fully understood, but is very large. These achievements encompass a wide range of subject areas, especially mathematics, astronomy, and medicine. Other subjects of scientific inquiry included physics, alchemy and chemistry, cosmology, ophthalmology, geography and cartography, sociology, and psychology. Arabic weddings have changed greatly in the past 100 years. Original traditional Arabic weddings are supposed to be very similar to modern-day Bedouin weddings and rural weddings, and they are in some cases unique from one region to another, even within the same country. it must be mentioned that what some people today call "Bedouin" wedding is in fact the original true traditional Arab Islamic wedding without foreign influence. The practice of marrying of relatives is a common feature of Arab culture. Among Arabs the practice of marrying of relatives is a common feature. In the Arab world today between 40% and 50% of all marriages are consanguineous or between close family members, though these figures may vary among Arab nations. In Egypt, around 40% of the population marry a cousin. A 1992 survey in Jordan found that 32% were married to a first cousin; a further 17.3% were married to more distant relatives. 67% of marriages in Saudi Arabia are between close relatives as are 54% of all marriages in Kuwait, whereas 18% of all Lebanese were between blood relatives. Due to the actions of the Prophet Muhammad and the Rightly Guided Caliphs, marriage between cousins is explicitly allowed in Islam and the Qur'an itself does not discourage or forbid the practice. Nevertheless, opinions vary on whether the phenomenon should be seen as exclusively based on Islamic practices as a 1992 study among Arabs in Jordan did not show significant differences between Christian Arabs or Muslim Arabs when comparing the occurrence of consanguinity. Haplogroup J and E1b1b are the most frequent Y-DNA haplogroups in the Arab world. E1b1b is the most frequent paternal clade among the populations in the western part of the Arab world (Maghreb, Nile Valley and Horn of Africa), whereas haplogroup J is the most frequent paternal clade toward the east (Arabian peninsula and Near East). Other less common haplogroups are R1a, R1b, G, I, L and T.
Listed here are the human Y-chromosome DNA haplogroups in Arabian peninsula, Mashriq/Levant, Maghreb and Nile Valley. Yemeni Arabs J (82.3%), E1b1b (12.9%) and E1b1a (3.2%). Saudi Arabs J1 (58%), E1b1b (7.6%), E1b1a (7.6%), R1a (5.1%), T (5.1%), G (3.2%) and L (1.9%). Emirati Arabs J (45.1%), E1b1b (11.6%), R1a (7.3%), E1b1a (5.5%), T (4.9%), R1b (4.3%) and L (3%). Omani Arabs J (47.9%), E1b1b (15.7%), R1a (9.1%), T (8.3%), E1b1a (7.4%), R1b (1.7%), G (1.7%) and L (0.8%). Qatari Arabs J (66.7%), R1a (6.9%), E1b1b (5.6%), E1b1a (2.8%), G (2.8%) and L (2.8%). Lebanese Arabs J (45.2%), E1b1b (25.8%), R1a (9.7%), R1b (6.4%), G, I and I (3.2%), (3.2%), (3.2%). Syrian Arabs J (58.3%), E1b1b (12.0%), I (5.0%), R1a (10.0%) and R1b 15.0%. Palestinian Arabs J (55.2%), E1b1b (20.3%), R1b (8.4%), I (6.3%), G (7%), R1a and T (1.4%), (1.4%). Jordanian Arabs J (43.8%), E1b1b (26%), R1b (17.8%), G (4.1%), I (3.4%) and R1a (1.4%). Iraqi Arabs J (50.6%), E1b1b (10.8%), R1b (10.8%), R1a (6.9%) and T (5.9%). Egyptian Arabs E1b1b (36.7%) and J (32%), G (8.8%), T (8.2% R1b (4.1%), E1b1a (2.8%) and I (0.7%). Sudanese Arabs J (47.1%), E1b1b (16.3%), R1b (15.7%) and I (3.13%). Moroccan Arabs E1b1b (75.5%) and J1 (20.4%). Tunisian Arabs E1b1b (49.3%), J1 (35.8%), R1b (6.8%) and E1b1a (1.4%). Algerian Arabs E1b1b (54%), J1 (35%), R1b (13%). Libyan Arabs E1b1b (35.88%), J (30.53%), E1b1a (8.78%), G (4.20%), R1a/R1b (3.43%) and E (1.53%). The Coptic component is the main autosomal element in Northeast Africa. It peaks among Egyptian Copts in Sudan, and is also found at high frequencies among other Afro-Asiatic-speaking populations in the Nile Valley and Horn of Africa. The Coptic component is roughly equivalent with the Ethio-Somali component. ↑ total population 450 million, CIA Factbook estimates an Arab population of 450 million, see article text. ↑ 11.0 11.1 "Las mil y una historias" (in Spanish). semana.com. 2004. CS1 maint: Unrecognized language (link) <templatestyles src="Module:Citation/CS1/styles.css"></templatestyles>There is an estimated population of 1,500,000 Arabs in Colombia. ↑ (Spanish) En Chile viven unas 700.000 personas de origen árabe y de ellas 500.000 son descendientes de emigrantes palestinos que llegaron a comienzos del siglo pasado y que constituyen la comunidad de ese origen más grande fuera del mundo árabe. ↑ Schsenwald, William L. "The Vilayet of Syria, 1901-1914: A Re-Examination of Diplomatic Documents As Sources." Middle East Journal (1968), Vol 22, No. 1, Winter: p. 73. ↑ Arab League formed — History.com This Day in History — 3/22/1945. History.com. Retrieved on 2014-04-28. ↑ 73.0 73.1 Retsö, Jan (2003). The Arabs in Antiquity: Their History from the Assyrians to the Umayyads. Psychology Press. ISBN 978-0-7007-1679-1. <templatestyles src="Module:Citation/CS1/styles.css"></templatestyles>, pages 105, 119, 125–127. ↑ Hans Wehr & J M. Cowan. A dictionary of modern written Arabic. Third Edition. Ithaca, N.Y.: Spoken Language Services. p. 601. ↑ Hall, Bruce S., A History of Race in Muslim West Africa, 1600–1960. Cambridge University Press, 2011. ↑ "The world's successful diasporas". Managementtoday.co.uk. 3 April 2007. ↑ France's ethnic minorities: To count or not to count. The Economist (2009-03-26). Retrieved on 2013-07-12. ↑ IBGE. IBGE: Características Étnico-Raciais da População. ↑ http://www.thedailybeast.com/articles/2013/09/15/abdel-el-zabayar-from-parliament-to-the-frontlines.html "Venezuela, where the estimated 1.6 million people of Arab descent..."
↑ Habeeb Salloum, "Arabs Making Their Mark in Latin America: Generations of Immigrants in Colombia, Venezuela and Mexico", Al Jadid, Vol. 6, no. 30 (Winter 2000). ↑ (Spanish) Luis Angel Arango Library: Los sirio-libaneses en Colombia lablaa.org Accessed 30 August 2007. ↑ Arab and Jewish immigrants in Latin America: images and realities, by Ignacio Klich, Jeff Lesser, 1998, p. 165. ↑ People of India: Volume XXII: Gujarat (3 Parts-Set): Edited by R.B. Lal, P.B.S.V. Padmanabham, Gopal Krishan and Md. Azeez Mohidden, Popular Prakashan for ASI, 2003. ↑ 199.0 199.1 Cribb & Kahin 2004, pp. 18–19. ↑ "Shishakli and the Druzes: Integration and Intransigence"
↑ Arab Christians – Who are they?. Arabicbible.com. Retrieved on 2011-01-03. ↑ Bin-Muqbil 2006, p. 14. ↑ Krautheimer, Richard. Early Christian and Byzantine Architecture Yale University Press Pelican History of Art, Penguin Books Ltd., 1965, p. 285. ↑ Habib Hassan Touma – Review of Das arabische Tonsystem im Mittelalter by Liberty Manik[full citation needed]. ↑ O'Connor, Tom. 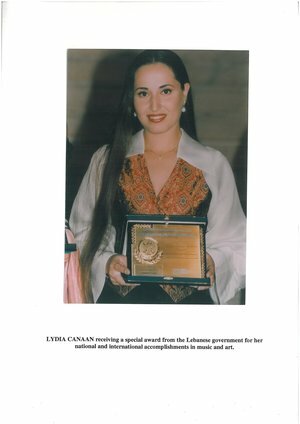 "Lydia Canaan One Step Closer to Rock n' Roll Hall of Fame", The Daily Star, Beirut, 27 April 2016. ↑ Marshall Hodgson, The Venture of Islam; Conscience and History in a World Civilisation Vol 1. The University of Chicago, 1974, pg. 234. ↑ Marshall Hodgson, The Venture of Islam; Conscience and History in a World Civilisation Vol 1. The University of Chicago, 1974, pg. 233. ↑ Marshall Hodgson, The Venture of Islam; Conscience and History in a World Civilisation Vol 1. The University of Chicago, 1974, pg. 238. ↑ The incidence of consanguinity was 54.3% among Kuwaiti natives and higher among Bedouins. ↑ Inbreeding and genetic disorder among Arab population. ↑ "The pattern was also independent of religious beliefs as both Christians and Muslims showed similar results." ↑ 347.0 347.1 Lua error in Module:Citation/CS1/Identifiers at line 47: attempt to index field 'wikibase' (a nil value). ↑ 350.0 350.1 350.2 350.3 350.4 Lua error in Module:Citation/CS1/Identifiers at line 47: attempt to index field 'wikibase' (a nil value). ↑ 352.0 352.1 Lua error in Module:Citation/CS1/Identifiers at line 47: attempt to index field 'wikibase' (a nil value). ↑ 359.0 359.1 Lua error in Module:Citation/CS1/Identifiers at line 47: attempt to index field 'wikibase' (a nil value). ↑ 361.0 361.1 Lua error in Module:Citation/CS1/Identifiers at line 47: attempt to index field 'wikibase' (a nil value). ↑ 372.0 372.1 Lua error in Module:Citation/CS1/Identifiers at line 47: attempt to index field 'wikibase' (a nil value). ↑ 378.0 378.1 378.2 Lua error in Module:Citation/CS1/Identifiers at line 47: attempt to index field 'wikibase' (a nil value). ↑ 380.0 380.1 Lua error in Module:Citation/CS1/Identifiers at line 47: attempt to index field 'wikibase' (a nil value). ; Lua error in Module:Citation/CS1/Identifiers at line 47: attempt to index field 'wikibase' (a nil value). This page was last modified on 5 May 2017, at 04:13.